Can you even believe the school year is almost over? While I’m running out of steam on the whole packing-a-lunch thing (HERE is a list to keep us going, by the way), I’m really looking forward to this summer with my kids. My daughter is in grade one this year, and she started at a new school in March when we moved so we don’t know her current teacher very well. What I do know is that, according to my daughter, “Madame goes from zero to VERY ANGRY all at once. There is no sorta angry.” Of course, this makes me love the woman, because Mommy is much like Madame in that way. (Well, that and the fact that she doesn’t believe in homework for grade one students, phew!) All jokes aside, at the end of the school year, I’d like to give her a wee gift to show we appreciated her making our daughter feel comfortable in her new school, and for launching our daughter’s French skills through the roof (seriously! we’ve noticed a huge change in such a short time!). 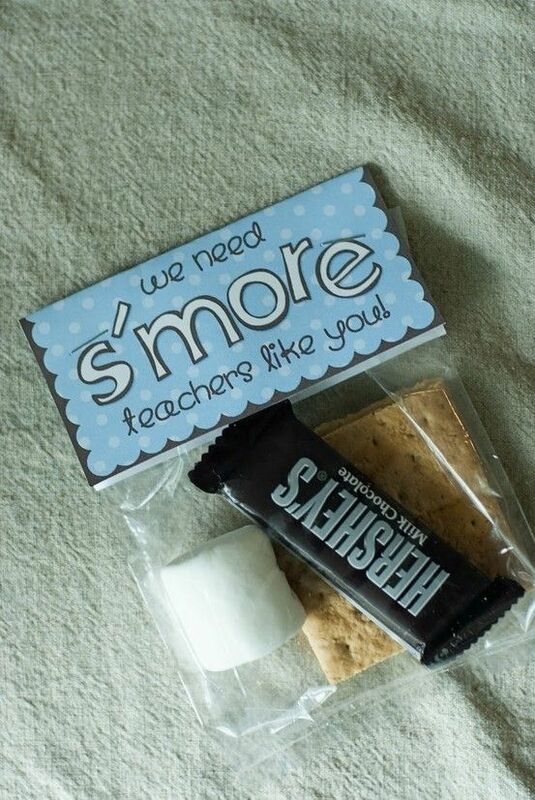 Now, on Pinterest I’ve noticed a trend: teacher gifts must apparently be handmade, punny, and generally cheesy. I’m not sure I generally agree with that tactic. Although sort of cute, that’s not what I’d choose to give a teacher who works with a classroom of, shall we say, challenging children all day long. I do know a lot of teachers, and while they sure do appreciate a handmade gift from a young student (hear that? from the young student, not the crafty mama! ), they also really, truly love some other options (and they also love that they’re given gifts at all!). I conducted a very scientific research project (I asked friends on Facebook and Twitter) what they give as gifts and what they love receiving. And here is what I found. Booze is good. Well, usually. Obviously there are exceptions, but at least if you give a bottle to someone who doesn’t drink, they can regift it. Unlike the thirty “Best Teacher” mugs they’re given. But most of the teachers I know do drink. Because they work with our children. So you can go with a bottle or a gift card to the LCBO. Which is only an Ontario thing, but you get the idea. Gift cards for alcohol = win. Get personal. Being thoughtful doesn’t have to be expensive or time-consuming. Giving the gift of personalization is so easy, especially with companies like Everyday Grace. Lindsay designs the most gorgeous stationery products, like these Note Pads, which are the perfect gift for any teacher. What about a beautiful hand-stamped keychain from ChicTags? Be charitable. Every penny (or nickle, now that our dear Canadian penny has bid us adieu) counts for charities helping children around the world. Consider a donation in your favourite teacher’s name to an organization like UNICEF Canada where you can choose a gift that will help a child in need or check out the different ways you can help via Oxfam Canada in their name. You can also check out your local charities and give where you live to make a difference in your community. Be crafty if you must. Sometimes, we just can’t suppress our craftiness. It bubbles to the surface and explodes in all its Pinterest-y glory. Ok, fine. But if you insist on making something for your kids’ teachers, at least make it useful. Last year, I decorated the plates on which we gave Story’s teachers our home made sugar cookies (above). We used dollar store plates, a Sharpie marker and some food-safe sealant to make them pretty. Don’t be fooled by many of the tutorials you’ll find online: Sharpie markers ARE NOT PERMANENT ON SEALED CERAMICS. So if you draw on a mug, you gotta seal it in. There are many options for spray-on coatings that are safe, just read the cans to be sure. To be extra-safe, we only decorated the edges of the platters where food wouldn’t rest, and so only sprayed the edges, too. They stand up well, but I recommend hand-washing only. We chose appropriate sayings for the staff — the librarian Story loved so much was given a platter with a literary quote, the patient, helpful office staff was thanked, and the kids’ teachers were given apple-shaped cookies on fun plates, too. There are a thousand other ideas on Pinterest for teacher gifts, I just really urge everyone to think of the usefulness and thoughtfulness of a gift before giving it. When in doubt, gift card it out. Who doesn’t love a gift card? So much potential! In years past, they may have been considered a little impersonal, but let’s face it: how many of us really know what our kids’ teachers like to do in their spare time? I can almost guarantee they don’t sit around wishing to spend money on your kids, though, so let’s try to avoid gift cards for the classroom this time. (I do often buy something for their classroom at the beginning of the school year, though!) How about a gift card to buy themselves a new novel to read? Or to a place like Winner’s or Homesense? Or for supper at a nice restaurant? Heck, combine forces and give them the gift of caffeine and literature and you’re golden! What are you giving teachers this year? If you’re a teacher, have you received any really thoughtful gifts you’d like to tell me about? I LOVE the thoughtfulness put into useful gifts. For real. Sometimes I can’t think of anything that would be useful for someone else then definitely go with gift cards. Pinterest has cute ideas but so far I only find it useful for holding recipes and saying “who has time to do that?” Hahaha. Love your plates and your writing is so perfect! Wish I was Story’s teacher!! I love the platters! So thoughtful!!! Those are all lovely: will you be making cookies for Story’s Sparks leaders? I look at all the wonderful volunteer leaders in my area, and so rarely does anyone get a thank you note or card from anyone’s parents (mind you, teacher gifts aren’t quite such a big thing over here in the UK either). I didn’t, but only because both are very avid bakers themselves. Instead, Story made them beautiful cards saying thank you, and I gave them each a gift card to a store I think they’ll like. One is getting married this summer and the other is a soon-to-be-teacher, and they are both SO amazing. We’ll miss them a lot. Some good ideas! O. finished school last week and we went the safe route. I got a gas gift card for her teacher since she travels about two hours round trip per day, and we also gave her a nice ‘thank you’ card and I wrote a note of appreciation for all that she did. We also gave the bus driver a Tim Horton’s gift card.